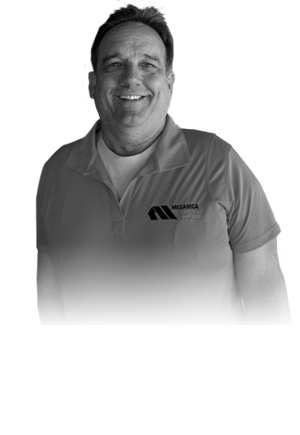 As a commercial transportation operations specialist, Michael provides expert advice in the areas of preventative maintenance and CSA compliance. Michael has worked in the trucking industry for over 35 years professionally, logging well over 1 million miles as a class 8 tractor trailer driver, hauling a wide variety of cargo, in 5 different types of trailers, ranging from produce to building materials and hazardous waste. His origins began growing up in a family trucking business, exposing him at an early age to mechanics ranging from trucks to race cars. He attended Universal Technical Institute after high school, majoring in diesel mechanics. Then working as a class 8 tractor trailer driver and mechanic for over 10 years, he eventually became an independent owner operator for an additional 10 years. Michael has worked on and driven heavy trucks ranging from garbage trucks to tractor trailers, pumpers trucks and Aerial ladder trucks. In 2002, Michael joined the Ventura County Fire Department as a Fire Mechanic 1, progressing through the ranks to Fire Mechanic 2 and then Fire Mechanic 3. He gained qualification as an Equipment Manager and Ground Support Unit Leader enabling him to work on Incident Management Teams across the state of California.